A slippery rough surface (SRS) inspired by both pitcher plants and rice leaves outperforms state-of-the-art liquid-repellent surfaces in water harvesting applications, according to a team of researchers at Penn State and University of Texas at Dallas. The team reports their work online today in Science Advances, an open-access journal published by the American Association for the Advancement of Science (AAAS). “With an estimated 4 billion people living in a situation of water scarcity during at least some part of the year, an inexpensive method for harvesting water from water vapor or from fog droplets in air could have enormous practical applications, and will help alleviate the water scarcity issues in many regions of the world,” said the project’s leader, Tak-Sing Wong, who is the Wormley Family Early Career Professor in Engineering and assistant professor of mechanical engineering, Penn State. Many water-harvesting technologies are not as efficient, because when water is attracted to a hydrophilic surface, the water tends to form a sheet and clings to the surface, making it hard to remove. But Wong’s post-doctoral scholar, Simon Dai, now an assistant professor at UT Dallas, was looking at combining different biological strategies to create a slippery solution for water harvesting. “With SRS, we combined the slippery interface of pitcher plant with the surface architecture of rice leaf, which has micro/nanoscale directional grooves on its surface that allows water to be removed very easily in one direction but not the other,” said Dai. Dai developed a pitcher plant-inspired slippery surface with hydrophilic chemistry. At the same time, he added the directional grooves and gave the new surface a microscale roughness that increased the surface area. 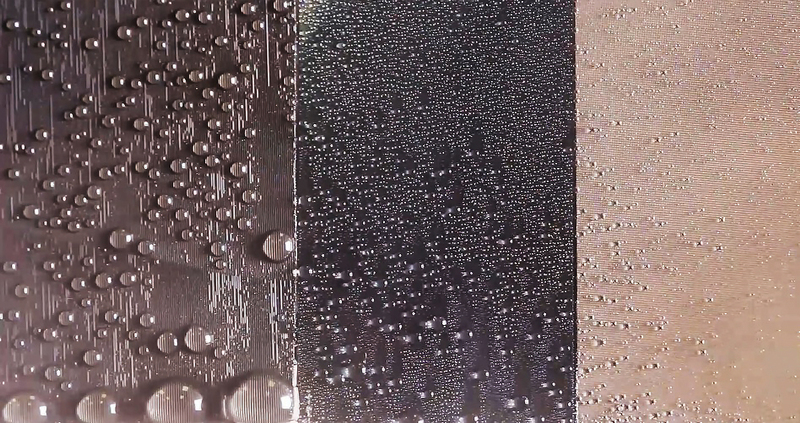 The rate of water and fog harvesting are directly proportional to the amount of surface area on which droplets can form. The rice leaves-inspired grooves whisk the water droplets away through capillary action or gravity. 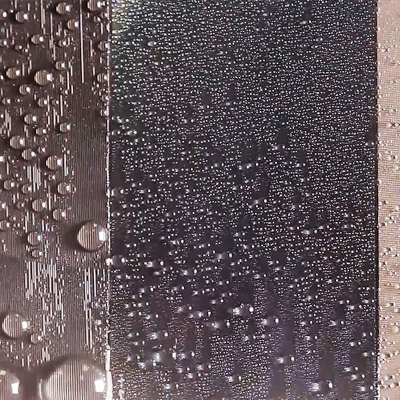 Through experiments carried out at Penn State, the team showed that these surfaces can collect tiny water droplets from air at a rate faster than many state-of-the-art surfaces. Molecular dynamics simulations carried out at UT Dallas by Dai’s colleague, Steven Nielson, explained why the hydrophilic surface was particularly good at water harvesting. Wong’s team is currently working on optimizing and scaling up the SRS with the goal to create highly efficient water harvesting systems for providing clean water in water scarcity regions. Additional coauthors on the Science Advances paper from Penn State are Ph.D. students Birgitt Boschitsch Stogin and Jing Wang and former post-doctoral scholar in Wong’s lab, Shikuan Yang, now a professor at Zhejiang University. A U.S. provisional patent has been filed for this work. Contact Tak-Sing Wong at tswong@psu.edu or Xianming Dai at Dai@utdallas.edu.